Dual-wielding never looked so good with the Pathfinder Roleplaying Game iconic fighter, Valeros! Black 100% cotton t-shirt. The shirts all look awesome except for one thing; they're almost all black tees. I have way more than enough black tees. I'd so rock this shirt in a forest green or a nice burnt umber, a red, or a blue. But black? Why are all fan shirts black? 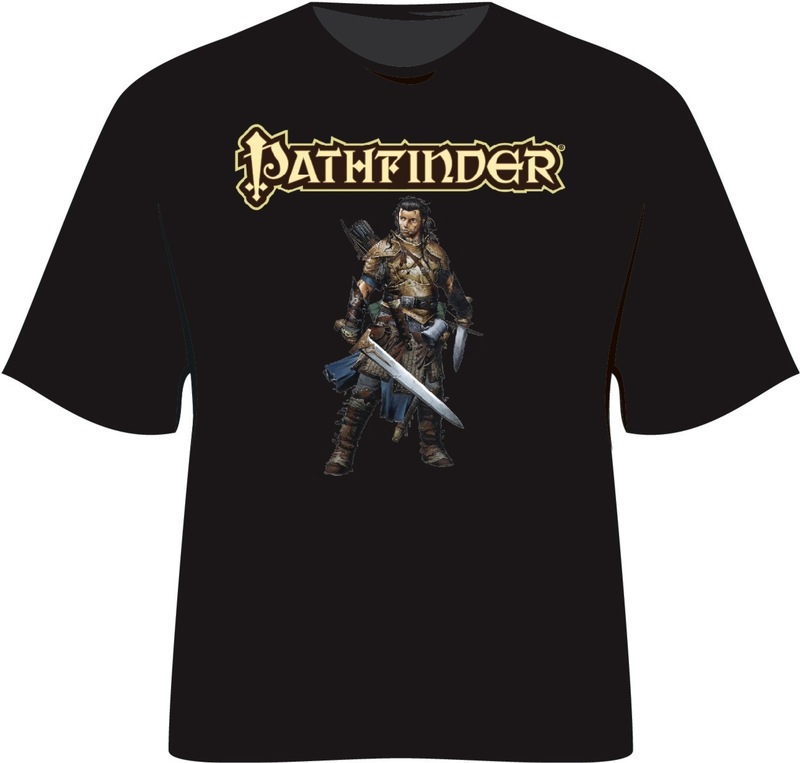 Sign in to start a discussion about Pathfinder Roleplaying Game: Valeros, Iconic Fighter T-Shirt!